Hello! Your service at our restaurant certainly was not up to our standards. Do you mind taking a few minutes to fill out our feedback form so we can follow up with you directly? You can find it here: bit.ly/EnPHelp. It seems that the manager at the Parma location does not care about customer satisfaction at all. When I talked to him to praise the service we got and the freshness of the salad bar he just stared at me and said, okay. A couple weeks in a row the salad bar was not up to par and both weeks I mentioned to him how disappointed we were and again he just stared at me and said, okay. We waited a couple weeks, went back and still found the salad bar lacking the fresh food. I mentioned it to the cashier when she asked how our meal was and she asked if we'd like to speak to the manager...I told her I knew that would be a waste of time. 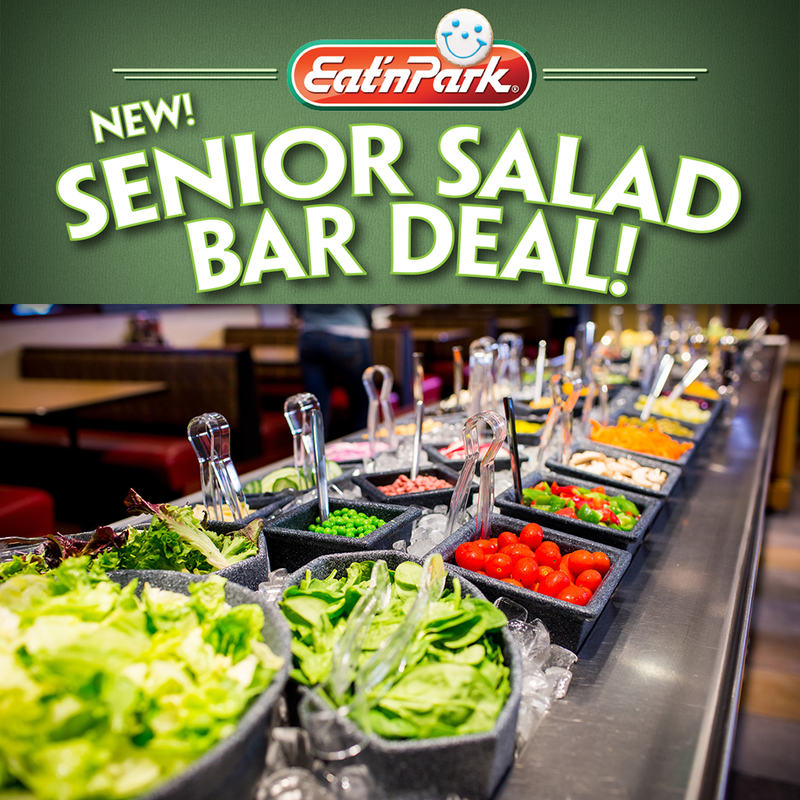 Your senior salad bar deal is not a deal. What is the savings? Maybe a dollar? Lots of seniors, such as myself, drink only water. Take a lesson from Golden Corral. Their senior deal is their entire buffet with drink included for $7.29. Yours should be in the $5.99 range with drink included. Hi D-D! Thank you for letting us know about your service at our Parma location. Do you mind filling out our feedback form so we can get more information and follow up with you directly? You can find it here: bit.ly/EnPHelp. Also, thank you for your feedback on our Senior Salad Bar promotion. We'll pass along your comments to our promotions team! Well I don't know which restaurants you all our going to, but the EN'P in N.Versailles never lets me down. ROBIN in the front end cashier /to-go is so polite & takes care of my order every time with nothing but a smile. Above & beyond service, thank you so very much! Thank you so much for your kind words! We'll make sure to pass your compliments to Robin! I agree with the comment above about the senior salad bar. I also just drink water, so it's not a deal to have to purchase a beverage to get the special senior price. In fact, probably amounts to the same price if you add the beverage to it. In addition, wish you would bring back the hot food items found like you used to have a few years ago. Hot noodles instead of the cold ones would be nice, a.o g with rice and a hot vegetable during the winter months. 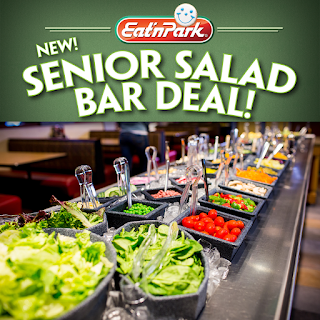 We appreciate your feedback about our Senior Salad Bar Deal. Also, we'll pass along your comments and your wish to bring back hot food selections on the salad bar to our menu development team. Thanks! The Eden Park on the corner of Clairton Boulevard and Streets Run Road is usually the best around. Service/food you just can’t beat it. Back to my favorite… The only thing I continually complain about, and so does everyone else, is the lack of paper towels. Saying that discarded paper towels cause terms is just not correct. All of that air blowing out of those machines spread germs through the entire restroom. The many managers I’ve talk to over the years have been on helpful. Can corporate dictate that day please give customers a choice? The funny thing is that the one next to their corporate offices is absolutely horrible. The food is pretty bad and the service is unbelievably bad. Can’t one of the executives from next-door put don a tropical shirt, some sunglasses and a hat and go in there and see what’s going on? Hi, thank you for your feedback. It’s so great to hear how much you enjoy visiting our Whitehall location. We’re so sorry to hear that our Waterfront location has not been up to the same standards as our Whitehall one, however. We will certainly pass your comments along to our District Manager for the Waterfront, Domenic, for his review. He will be able to follow up with his team there to ensure that we are providing a great experience for all our guests. Additionally, as a company, we aim to reduce our environmental impact through lowered energy usage, decreased waste, and local sourcing. As part of this initiative, we decide to stop handing out placemats to every guest and install the hand dryers for the restrooms and eliminate paper towels. This has helped to decrease our paper waste by 300,000 pounds a year! However, we’re so sorry to have disappointed you by not having paper towels available for our guests. We will certainly pass along your feedback and suggestion to our operations team for their consideration. We hope to serve you again soon!